I don’t know about you, but in a world where we get upset with each other so very quickly, and anger seems to immediately turn to hate – its a painful reminder that God’s greatest command to us is simply this: Love. But there are two things we must consider – how do we love God and how do we love others? The Bible tells us to love God with all our heart, soul, might, strength – or another way to say it is to love God with your everything. Your will, your desires, your passions, your affections, your perceptions, your thoughts – We love God from within but also our entire being, our soul, the thing that makes us who we are – how we walk, how we talk, how we think, how we use our talents, how we react – our entire being is to display that we love God. We need to love God not only with our physical muscle but with everything we have available for honoring God – which includes our spouse, our children, our house, our wardrobe, our tools, our cell phones, our movies and music, our computers, our time. Every part of who we are – should be showing love to God. So that’s how we are to love God, but what about that “others” part. I love my wife. I love my daughter. I love my mother and father. I love my brother and sister, and their spouses, and their kids. I love my family. I love my friends. Those friends of mine that I can call up at anytime and talk, go eat lunch with, hang out with. I love you. I love the church. So you see the trend here. I love people I’m close to, that I’ve gotten to know, or that i have respect for. But – How do I love my enemies? He knew what Rome would do to his fellow Jews in Jerusalem as he wept over the city. The people he was about to die for, didn’t love him. He loved the people who were about to kill him. He wept for them. In the OT Jonah was asked to preach a message of salvation to people he despised. I think loving our enemies looks like that. The Ninevites were vile, horrible people. Jonah never got over God’s wanting to forgive & bless them. Loving your enemies is being willing to be a conduit of God’s grace to another, even when they have brought you pain and suffering . The world may cry “Why?” But we know the real reason God tells us to love others. Its because HE loves us – and HE wants us to be like HIM. 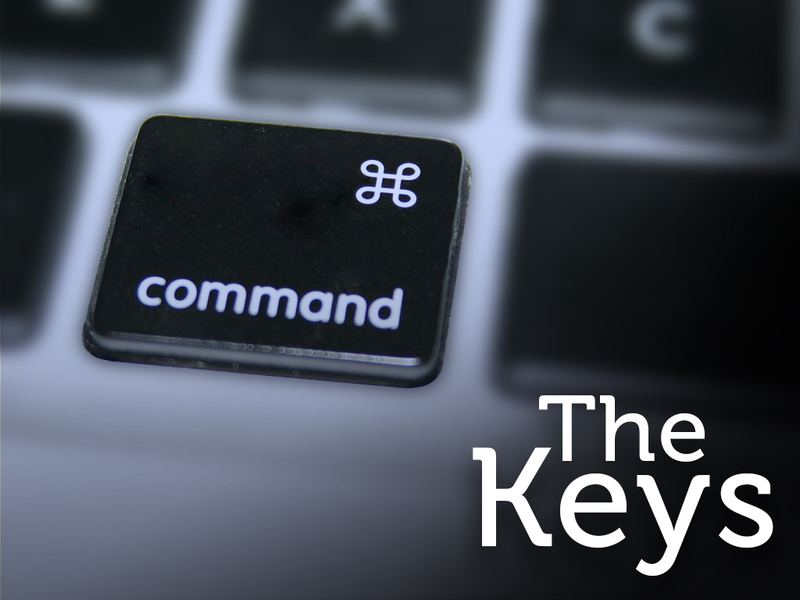 On the computer keyboard that I use, the “Command” key is used as a shortcut. I type command plus c and it copies. I type command plus v and it pastes. But when God says that love is the greatest command, we realize quickly there is no shortcut in love. The New Testament says in I Corinthians 13 that if I have eloquence, if I preach with power, if I have monstrous faith, if I give away all my possessions to the poor – it doesn’t amount to anything if I don’t have love. You know what else it says: Love is patient, love is kind. It does not envy, it does not boast, it is not proud. It does not dishonor others, it is not self-seeking, it is not easily angered, it keeps no record of wrongs. Love does not delight in evil but rejoices with the truth. It always protects, always trusts, always hopes, always perseveres. This is not just a passage for the minister to read at weddings. This is a national anthem for us as Christians – when we look at the Greatest Command which is love – this is the description of the love God commands!! Jesus was hanging on the cross. On either side of him were criminals. Roman soldiers who didn’t know Jesus were just doing their job, following orders. Jewish leaders, the ones who would have crucified Jesus themselves if the law didn’t prohibit it. They hated Jesus. And our Lord says “Father – forgive them.” And then he dies for them. And for us. For you, and for me. Jesus is standing in front of you today – he has his arms wide open, ready to love you, no matter what it is you’ve done. And when I say no matter what, I mean no matter what. He loves you – do you love Him?